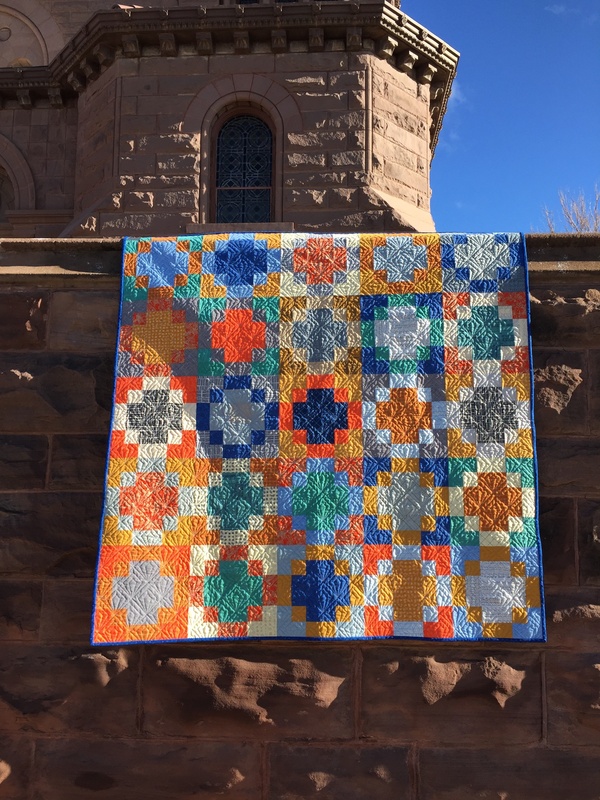 My March 2019 One Monthly Goal is to make the quilt top for the Camping quilt I plan to give to my brother, Bill, and sister-in-law, Sharon, who regularly go on adventures in their motor home. 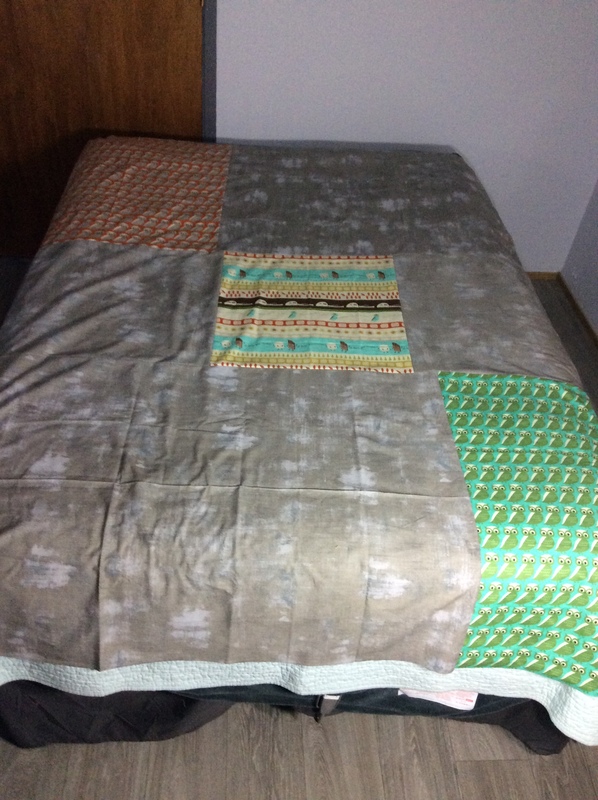 I bought a fat quarter bundle of S’More Love fabric a few years ago that I thought would make a great outdoorsy kind of quilt and recently was able to supplement the bundle with additional S’More Love yardage I found on Etsy. 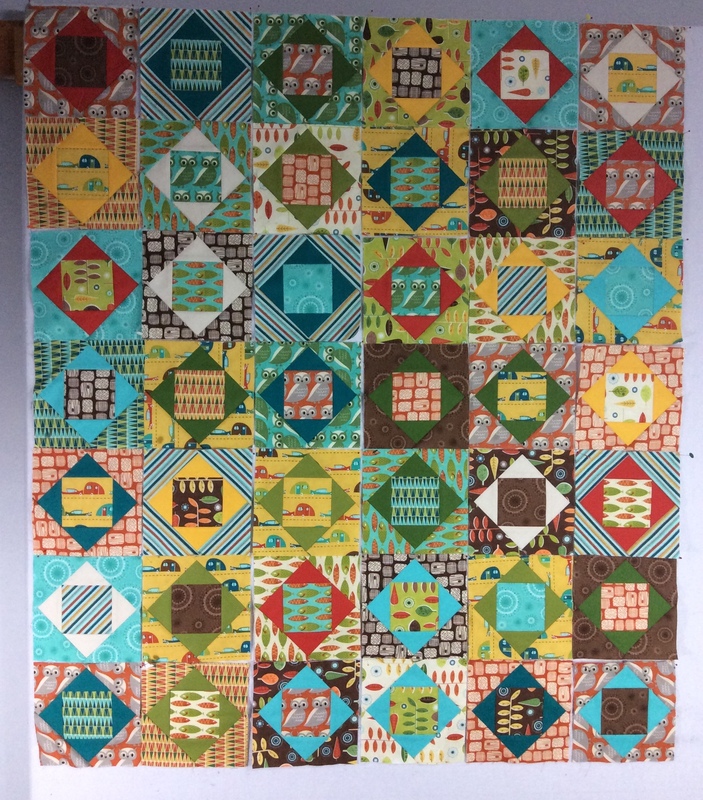 I decided to make six-inch paper-pieced economy blocks with this fabric along with some coordinating solids, and just this morning I finished making the last four blocks. 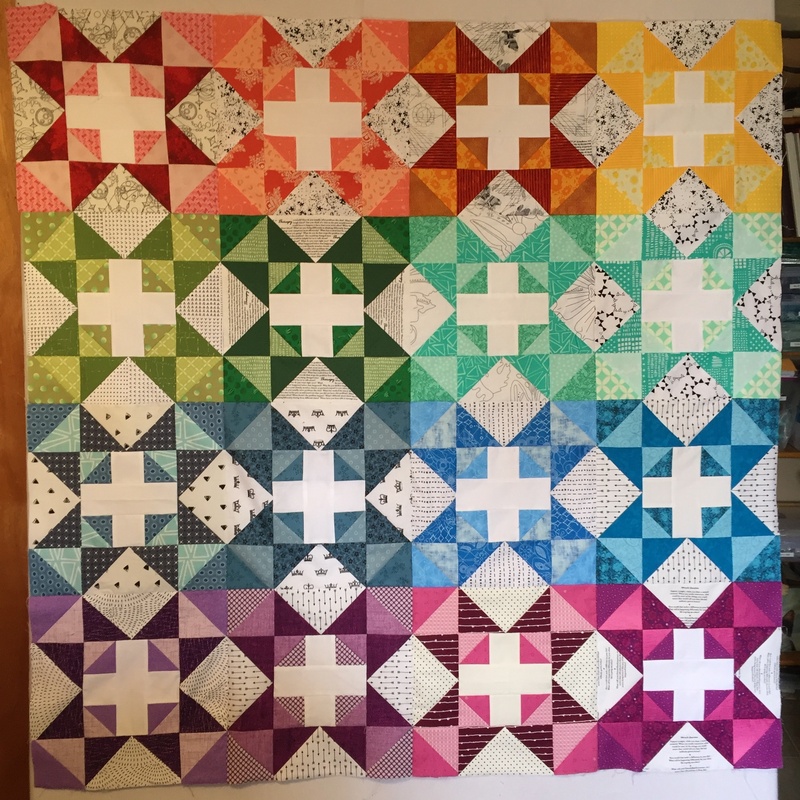 I’ll be adding two-inch grey Grunge sashing strips to increase the size but also to tamp down the busyness of the quilt top. 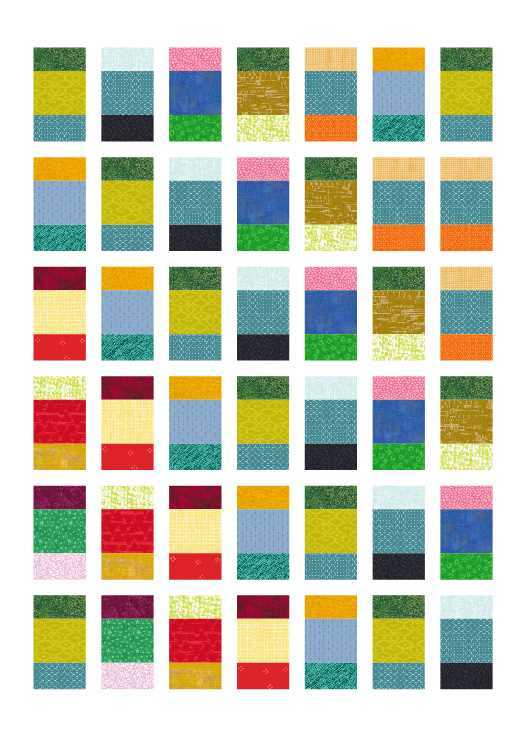 Below is a photo I took a few minutes ago of the 42 blocks. 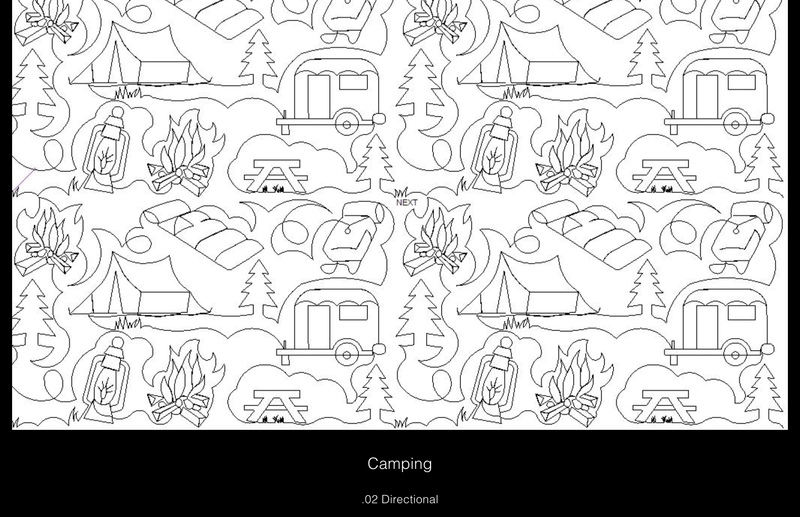 I’m quite certain this will not be the final layout. 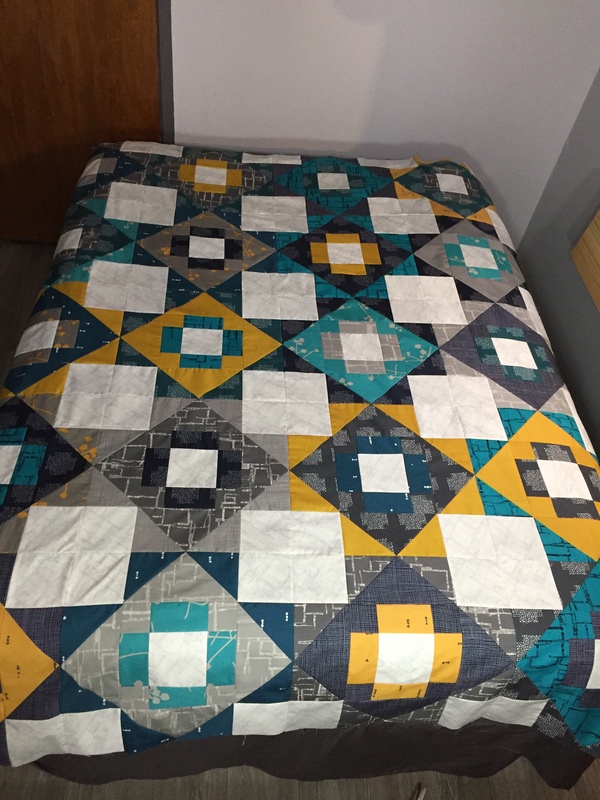 Last year I started collaborating with Melissa @ Sew Shabby Quilting and have frequently browsed the quilting patterns she offers. 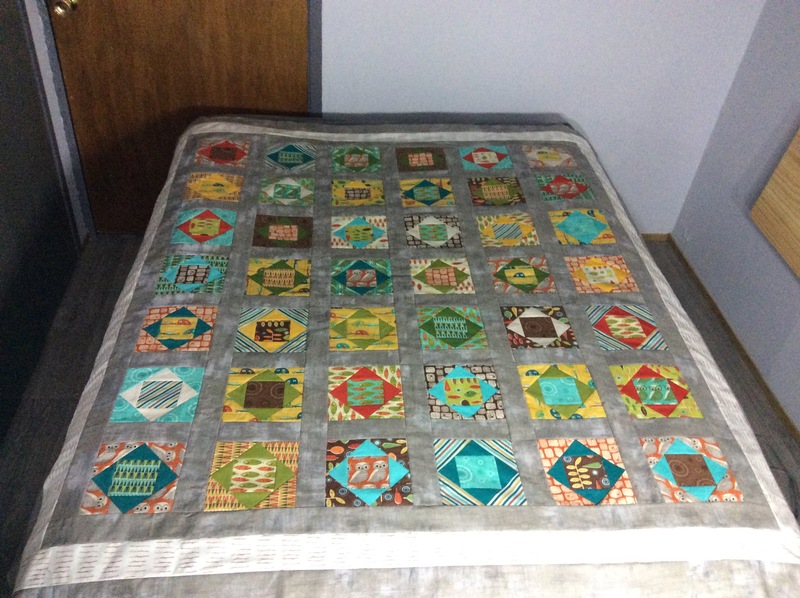 When I saw her Camping quilting motif, I knew it would be perfect for this quilt for Bill and Sharon. 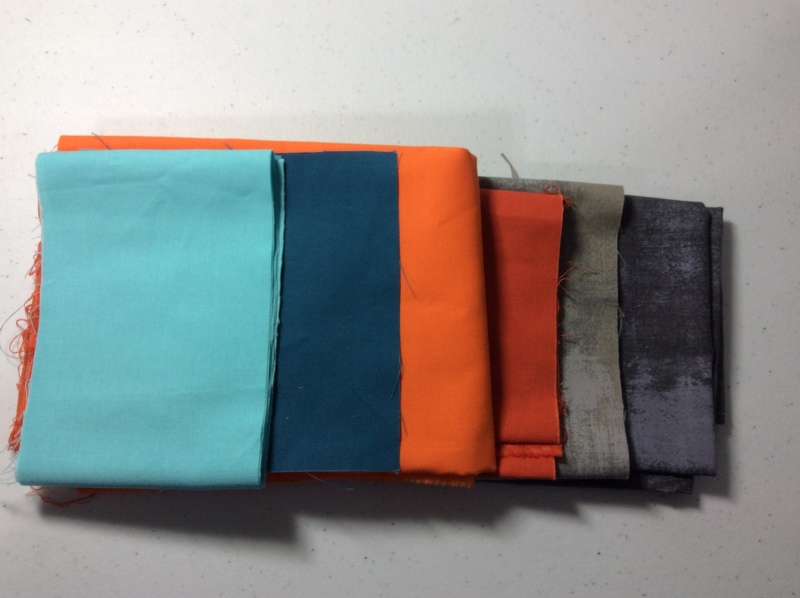 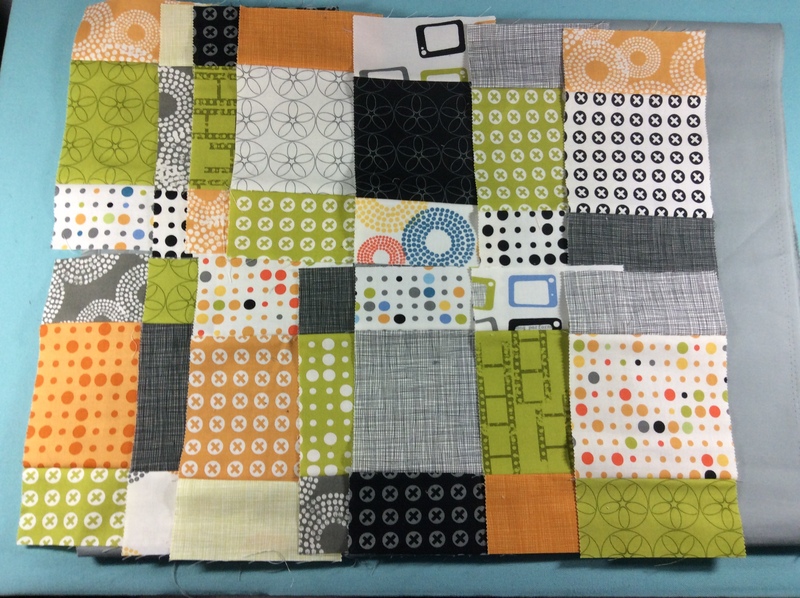 The back of the quilt will mostly be grey Grunge fabric but will also have a S’More Love fat quarter panel and larger cuts of the blue/green and orange/grey owls. 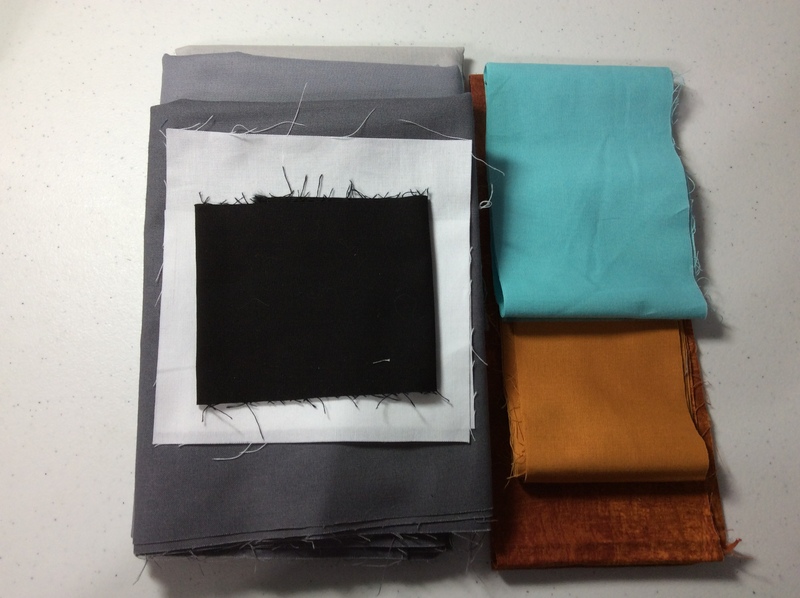 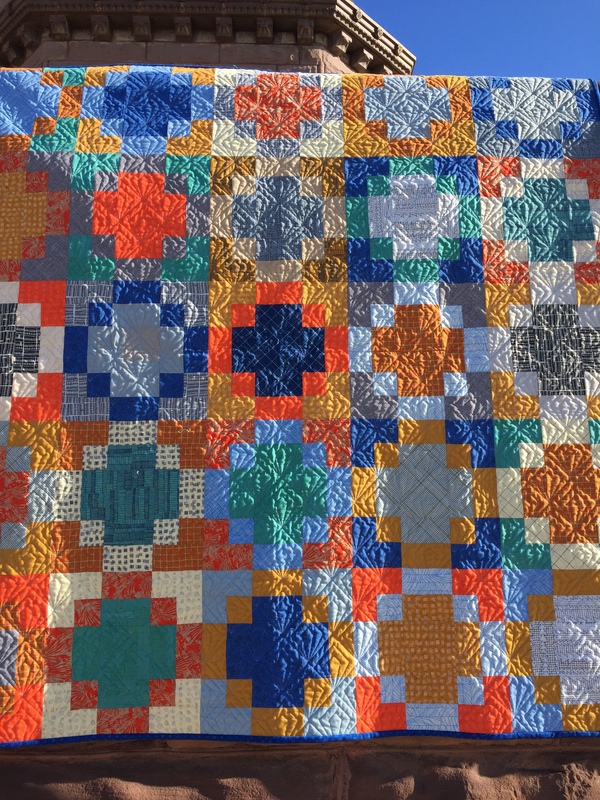 I’m not sure what color thread would work best for the quilting. 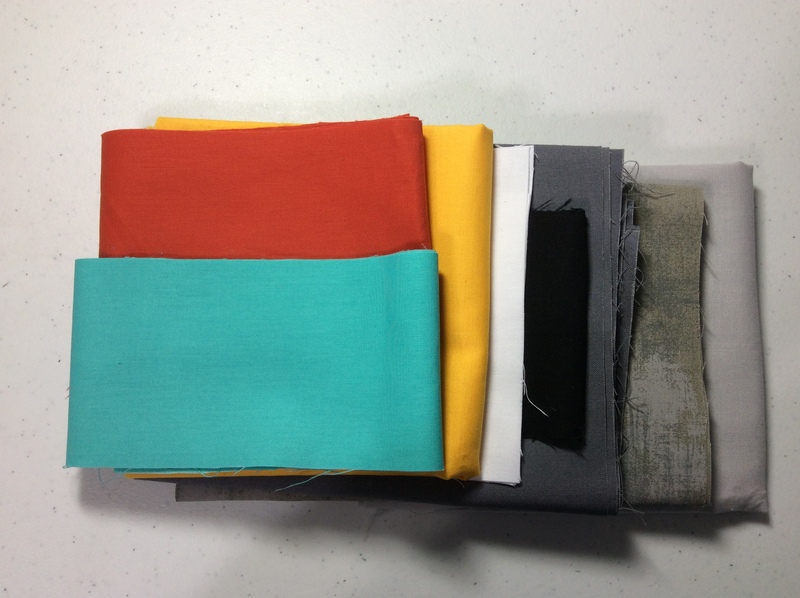 I’ve been considering yellow, light turquoise, or cream? 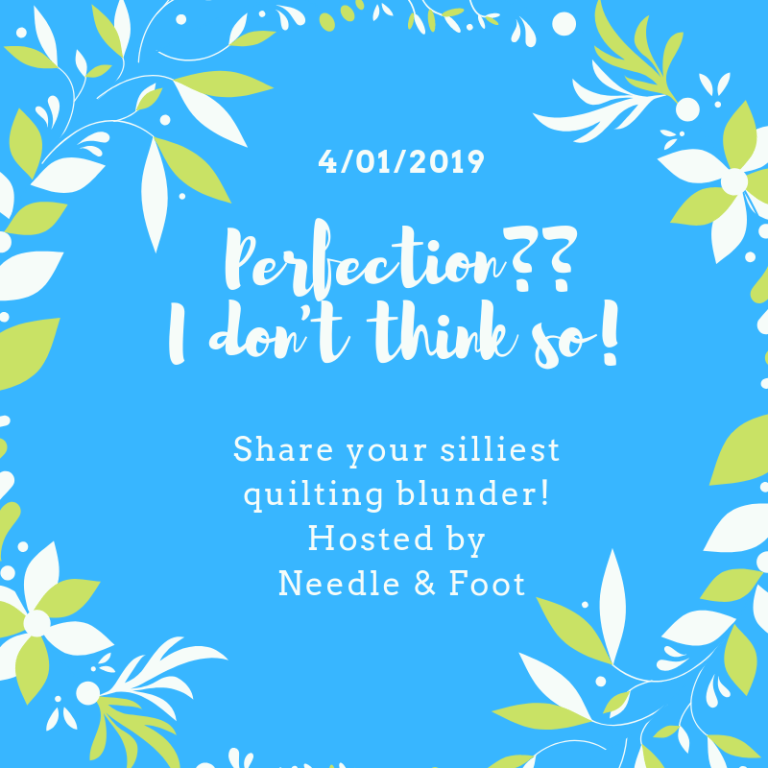 Feel free to comment with your opinion. 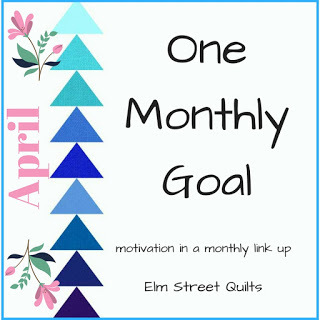 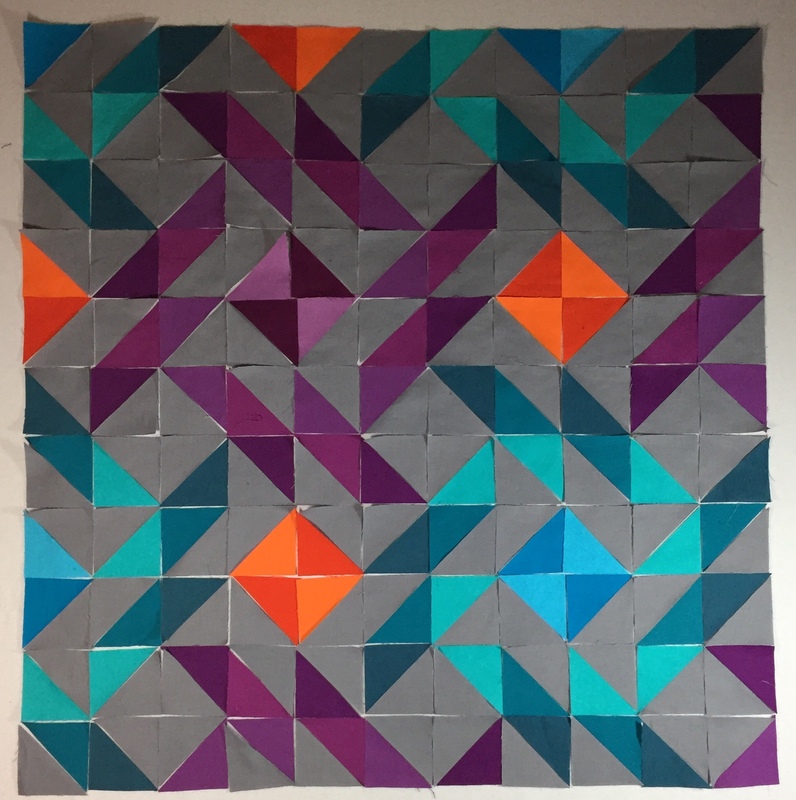 Linking up to Elm Street Quilts: March ‘19 OMG.